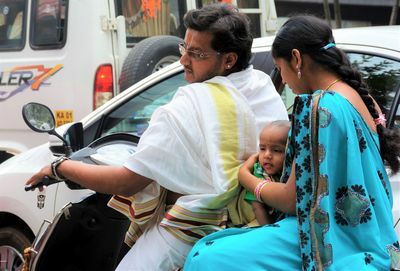 Whole families transported themselves around the city on scooters. Bugos, Denise, "Photo title: A Typical Indian Family" (2016). Study Abroad Photo Contest. 35.